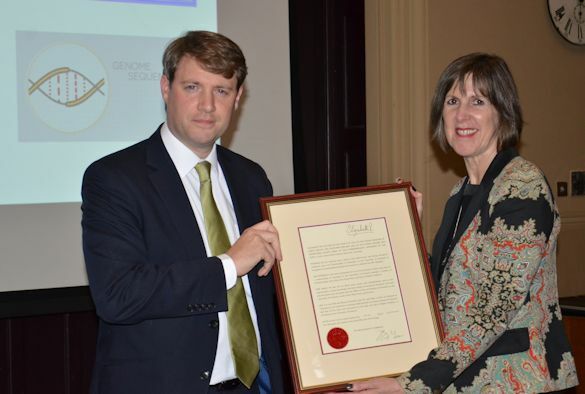 The Minister for the Constitution, Chris Skidmore, presented the University's Department of Chemistry with a Royal Warrant signed by Her Majesty the Queen, officially conferring her Majesty’s recognition with the title of the Regius Professor of Chemistry. The title of Regius Professorship is a rare and prestigious award given by Her Majesty the Queen to recognise exceptionally high quality research at an institution. 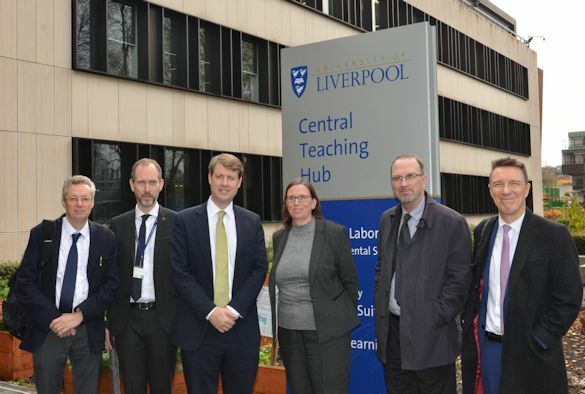 The University of Liverpool was one of 12 universities honoured to mark Her Majesty’s 90th Birthday. Previous to this, only 14 had been granted since the reign of Queen Victoria. It is believed that the first Regius Professorship was conferred to Aberdeen University in 1497 by King James IV. 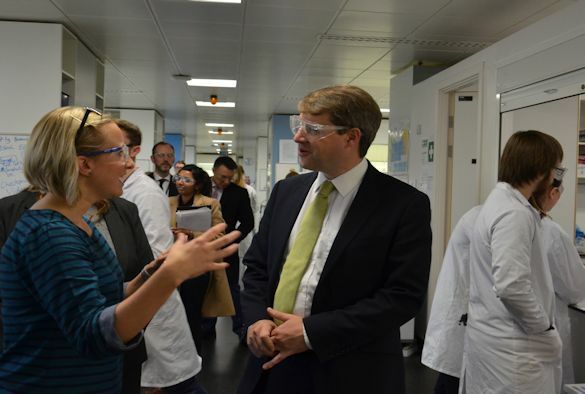 As part of the proceedings, Professor Rick Cosstick, Head of the Department of Chemistry, gave an overview of the Department's history, and its research and education programmes. 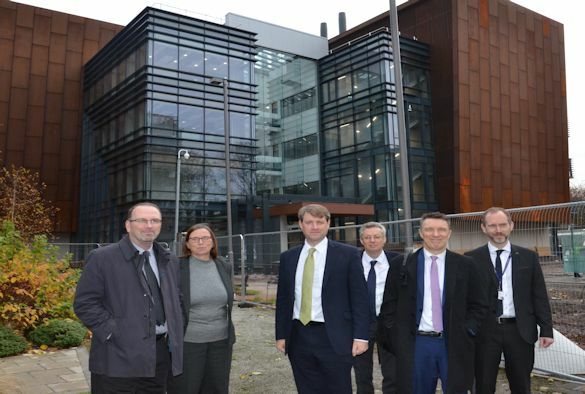 The Minister was then given a tour of the award-winning Central Teaching Laboratories and shown the Materials Innovation Factory which is currently under construction and is due to open in 2017. 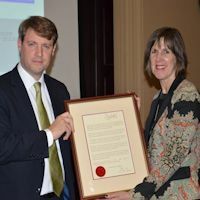 Chris Skidmore, Minister for Constitution, said: “The UK has some of the best universities in the world and I feel very privileged to be able to recognise them with such a prestigious award. In the past, Regius Professorships were created when a university chair was founded or endowed by a Royal patron. Previously, they were limited to a handful of the ancient universities of the United Kingdom and Ireland, namely Oxford, Cambridge, St Andrews, Glasgow, Aberdeen, Edinburgh and Trinity College, Dublin. Announced in the government’s Productivity Plan in July, the new Regius Professorships celebrate the increasingly important role of academic research in driving growth and improving productivity over the past 90 years.